If you have old and unused credit cards, you may want to cancel them. Find out how to do this with our simple guide. Cancelling unused credit cards is a wise step – to ensure you have access to the best financial deals in the future. Perhaps you want to avoid overspending or are paying an annual fee for a card you never use. Whatever the reason you are not using the card, you may want to consider cancelling it. 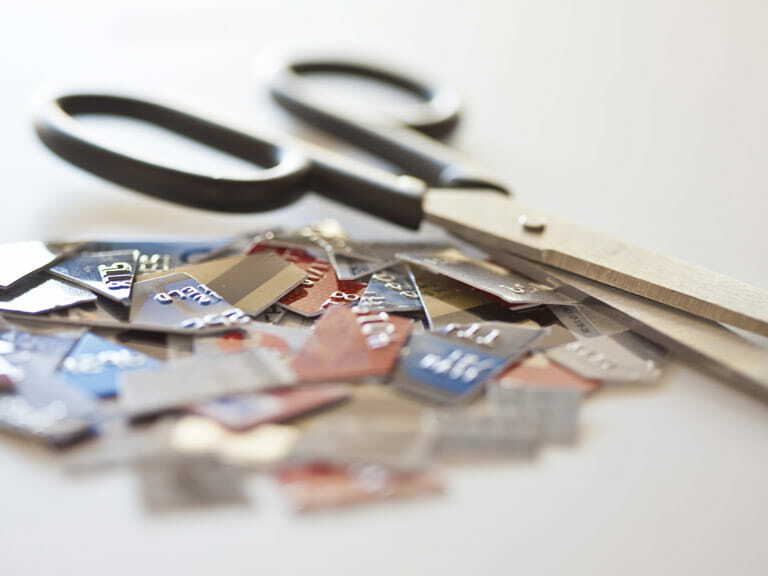 Why should you cancel old credit cards? Having lots of unused credit cards could impact on the amount of credit available to you, and your ability to access this. When you apply for credit lenders check for a repayment history and, if you’re not using your card, you don’t have this. Having lots of unused credit could also make lenders nervous as they may worry that you will suddenly max out all of the credit available to you on old cards, leaving you less able to pay them back if they allow you to borrow on a new card. Unused cards are also a fraud risk if left lying around – and stopping these is one less thing to worry about when sorting out your finances. Read our guide to choosing a credit card. However, don’t simply cut up your card. Here are simple steps you should take. Make sure that you’ve paid off whatever sum is remaining on the card, so your balance sits at zero. You are unable to cancel a card until any money owed is wiped from your account. If you don’t want any more money built up as debt on the card, you can ask that the card be frozen until the balance is cleared and card cancelled. Call the card provider and tell it you want to cancel your account. Double check that the account is closed, and make a note of the date you called to do this. Ask for confirmation of this process in writing, to ensure the request goes through the system. If you want additional assurance, you could also write and keep a copy of the letter – though this shouldn’t be necessary. Ask that your credit report reflects that the account was closed at your request. What is Section 75 credit card protection? Now, you can cut up your card. This is the satisfying bit when you can grab those scissors. Once you have cancelled the card's account, you don’t need to worry about anyone using it for fraudulent transactions. So it’s safe to cut up, and bin the pieces. For more tips and useful information, browse our money articles. This is to ensure your account balance is wiped, and the card is definitely cancelled. It’s also worth checking your credit report, which should be done on a regular basis anyway. This should show that the card is cancelled, without any adverse impact on your credit rating. Go to Experian.co.uk, Clearscore.com or Equifax.co.uk to get a copy of your credit report. You can check your credit report now with our free, no obligation Experian trial*.